Red Dead Online’s beta has begun, but some features aren’t available from the outset. Eventually, players will be able to open up the in-game shop to purchase gold bars for real money. Gold bars are a secondary currency that allow you to buy cosmetic items for you camp and your arsenal. 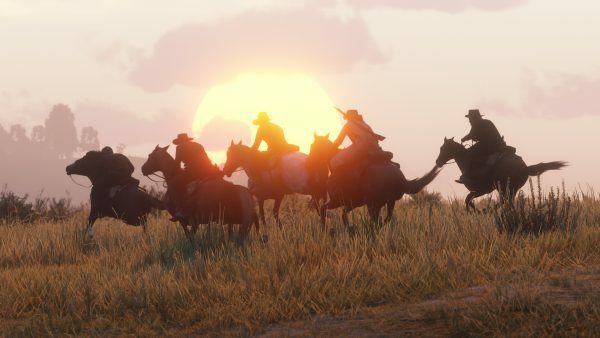 “You may notice some areas of the in-game menus are not yet accessible or available during this early period of the beta, such as the Red Dead Online in-game Store which will eventually open up to provide the option of purchasing gold bars to directly acquire cosmetic items like Camp décor, or a special style for your weapons,” Rockstar says in the official announcement. It’s refreshing to see this approach. After all, this is a beta. Still, that doesn’t stop a host of Early Access games from opening up their item shops on day one of launch, sometimes before they’ve even got all the textures on the map. Rockstar has so far been very open about its process with Red Dead Online, reinforcing the fact that this is a beta, there will be issues, but the developer is working on getting it running smoothly first and foremost. Once it’s all working as intended, that’s when we’ll get new content and more options. Here’s everything you need to know about the Red Dead Online beta.